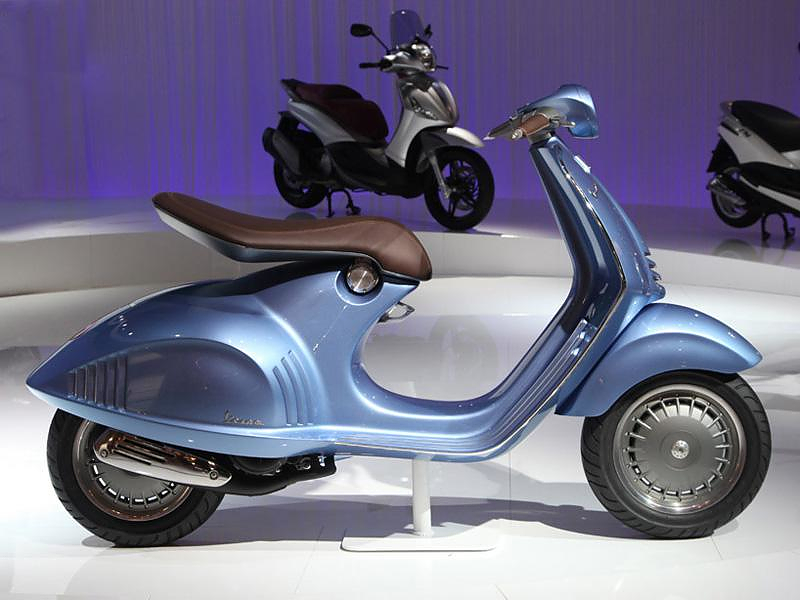 The new Vespa 46 combines the classic form of the iconic Vespa with modern elements. The result is a stunning vehicle encompassing a perfect blend of retro styling with modern technology. 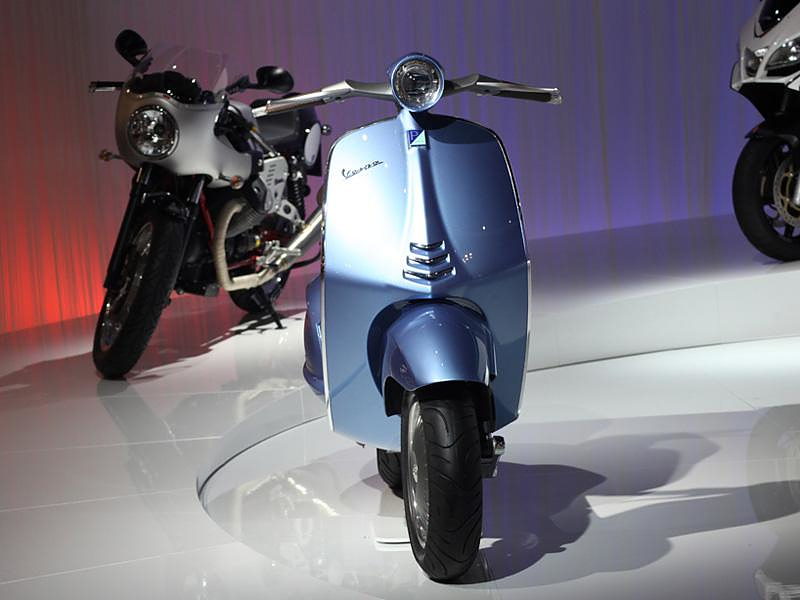 Piaggio Vespa 46 was first presented to the public at the EICMA 2011 in Milan and is set for release during 2012. 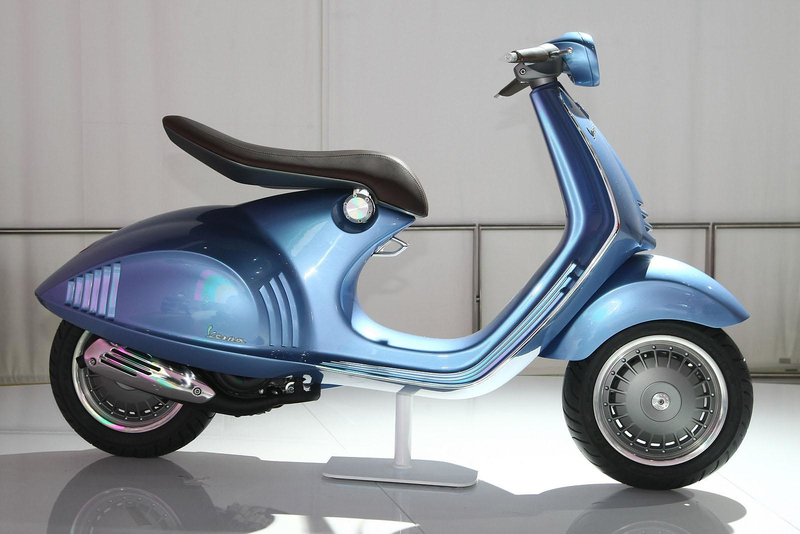 The design is inspired by the MP6 prototype, which was designed back in 1946 and gave birth to the most famous scooter in the world, the Vespa, a stunning example of Italian style and creativity. 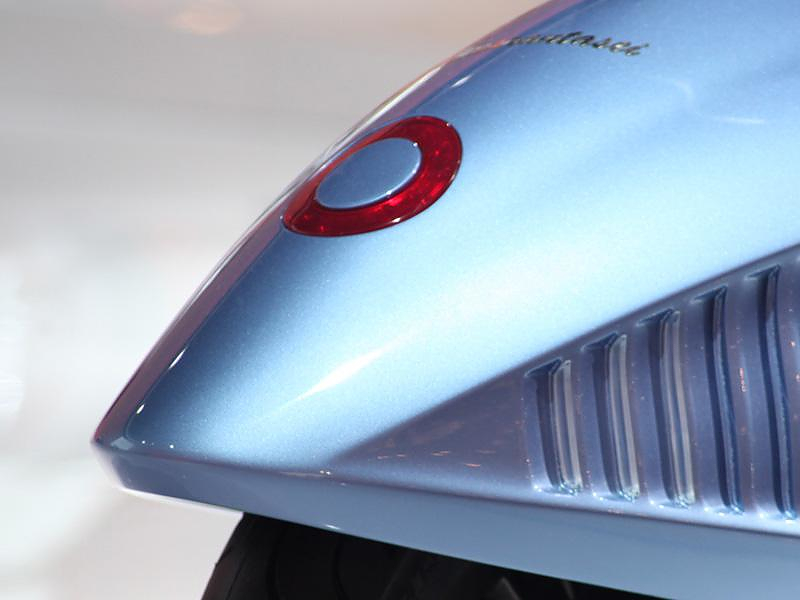 Piaggio’s newest creation pays homage to the legendary MP6 with a distinctive logo reading Quarantasei (forty six). 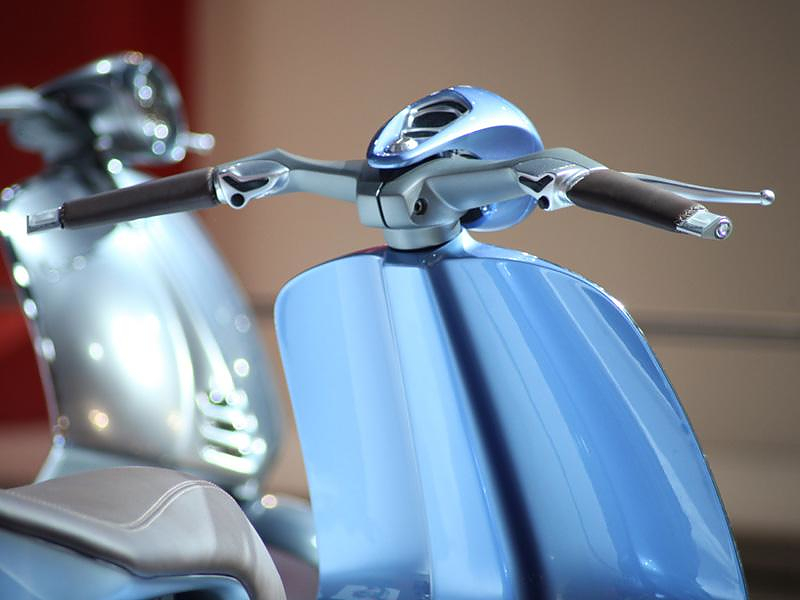 Distilling the essence of Vespa tradition and innovation, Vespa 46 combines vintage styling and modern technology in the best possible way. 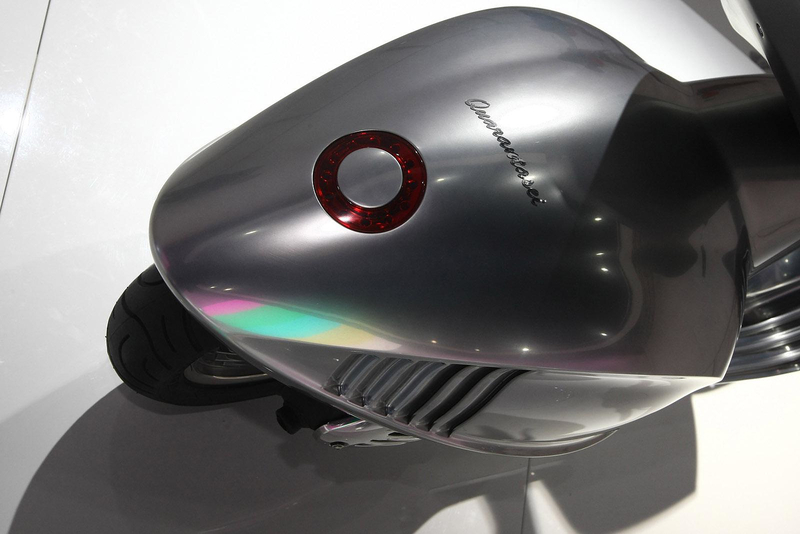 The funky LED lights blend ideally with the retro “wasp” like bodywork, the self-balancing seat makes a real statement while offering enhanced riding comfort and the aluminum body screams quality. 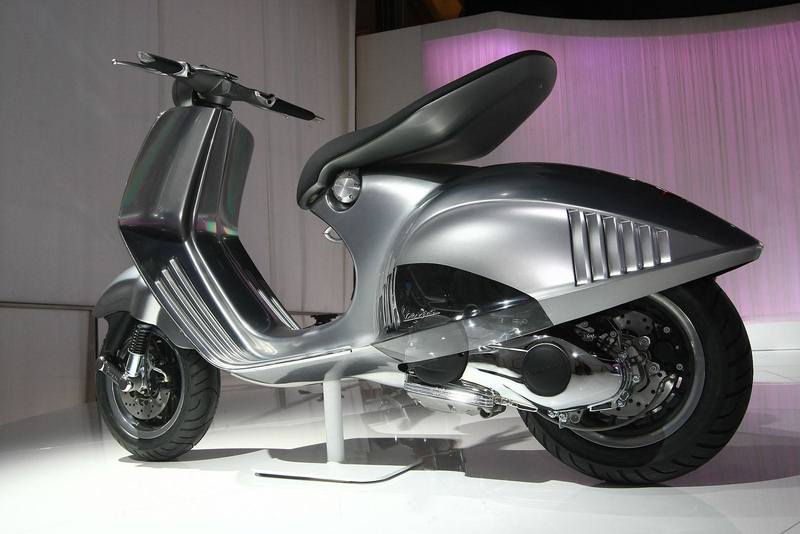 Finally when the timeless styling of the MP6 is combined with the performance of a modern state of the art engine, it looks like Piaggio came up with a future classic. 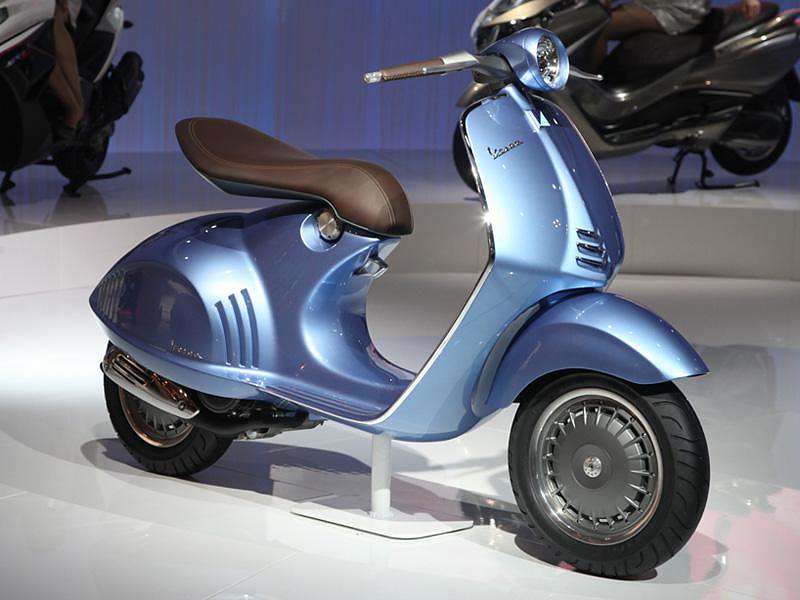 Vespa Quarantasei is powered by a single cylinder, 4 stroke, air cooled engine with 3 valves and electronic fuel injection. 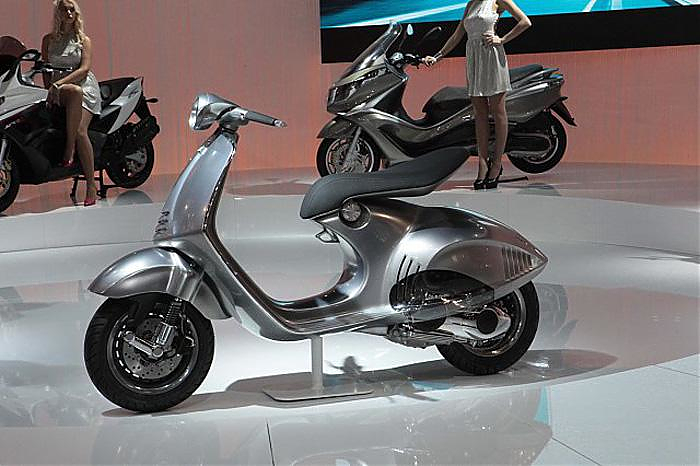 The new engine comes in two flavors, a 125cc and a 150cc version. The 125cc engine is claimed to put out 11,6 hp at 8.250rpm and 7.6 lb-ft of torque at 7.000rpm. The 150cc engine can muster some extra power as it makes 13 hp at 8.000rpm and 9.3 lb-ft of torque at 6.500rpm. The new engine has been designed, developed and manufactured entirely in Pontedera, Piaggio’s largest plant, which is one of the most advanced engine development and production centers in the world. The aim was to build a sophisticated engine that guarantees performance, reliability and safety while also leading the field in respect for the environment. The injection system is state of the art for functionality and rideability, with automatic idle control and closed-loop titre management with a lambda probe. The three dimensional maps of advance, titre and injection timing are managed by a new generation control unit. Together with the trivalent catalytic converter, compliance with the Euro3 standard is more than guaranteed, even in anticipation of future standards which will be increasingly restrictive in terms of containment of polluting emissions. This new engine is rumored to provide and incredible full efficiency of less than 2 liters for 100km. 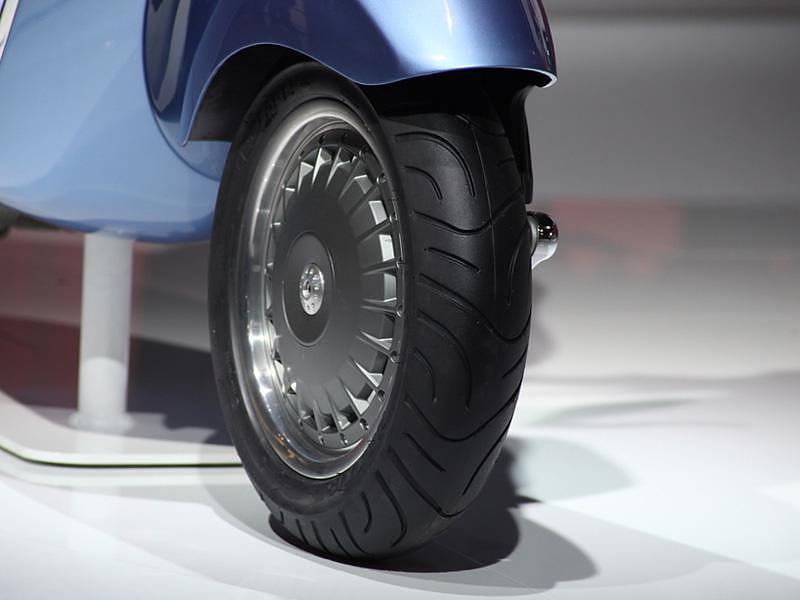 The upcoming Vespa Quarantase looks like an instant success as it combines unique styling, deep heritage, a class leading engine and high quality choice of materials. Lotus Motorcycle C-01 Ready to hit the road. Ducati Diavel, design meets power and technology. 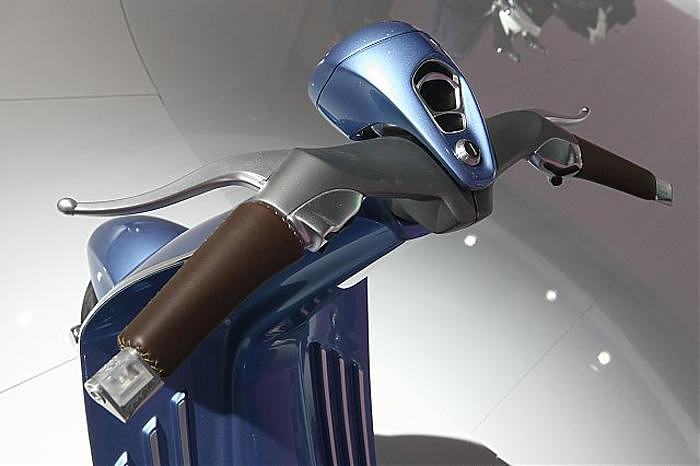 MINI Scooter E Concept, Electric Scooter. Mission One Electric Superbike by Mission Motors.